A city-wide exhibition entitled Ugo Rondinone: I ♥ John Giorno will celebrate the extraordinary life and work of the poet, artist and activist, John Giorno in thirteen locations, featuring films, drawings, archival presentations, paintings, and sound installations in a retrospective of Giorno’s work, as well as work inspired by him. Saturday, September 30th at 3pm, “Walking the Talk: The Noble Eightfold Path“, a talk by Ven. Khenpo Tenzin Norgay Rinpoche. 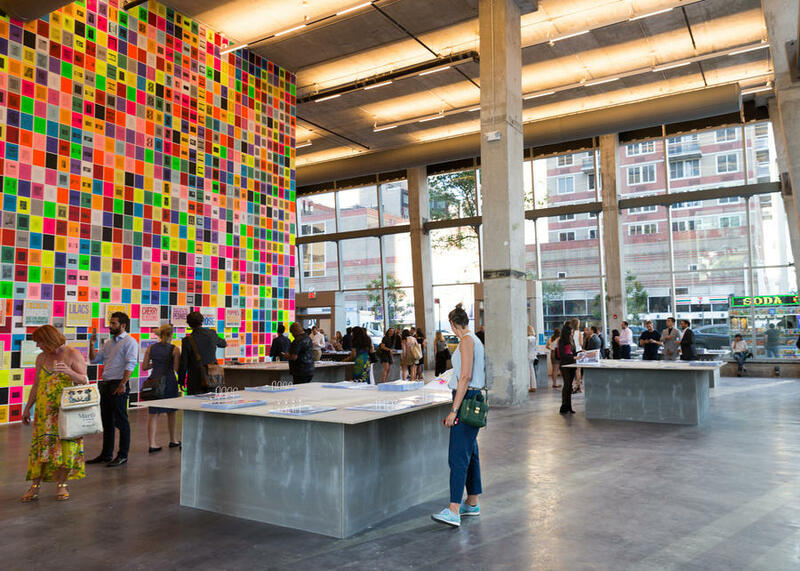 This event is organized in conjunction with the exhibition Ugo Rondinone: I ♥ John Giorno and Tibetan Buddhism at 205 Hudson Gallery, Hunter College Art Galleries, with works by John Giorno and Ugo Rondinone and works from the collection of the Rubin Museum of Art. Follow this Event on Facebook. Giorno, who lives in three combined lofts in the landmarked building at 222 Bowery, was an integral part of the New York art scene in the 1960s-70s, with friends and collaborators like Andy Warhol, Robert Mapplethorpe, Keith Haring, Pierre Huyghe and many others. He founded the non-profit production company Giormo Poetry Systems, and Dial-A-Poem, and was a prominent subject in Andy Warhol’s film Sleep (1963). The historic building he calls home, was also home to William S. Burroughs, Fernand Leger and Mark Rothko. Some of the works on view will include Rondinone’s 2011 video, Thanx 4 Nothing, which features John Giorno reading his poem by the same name. 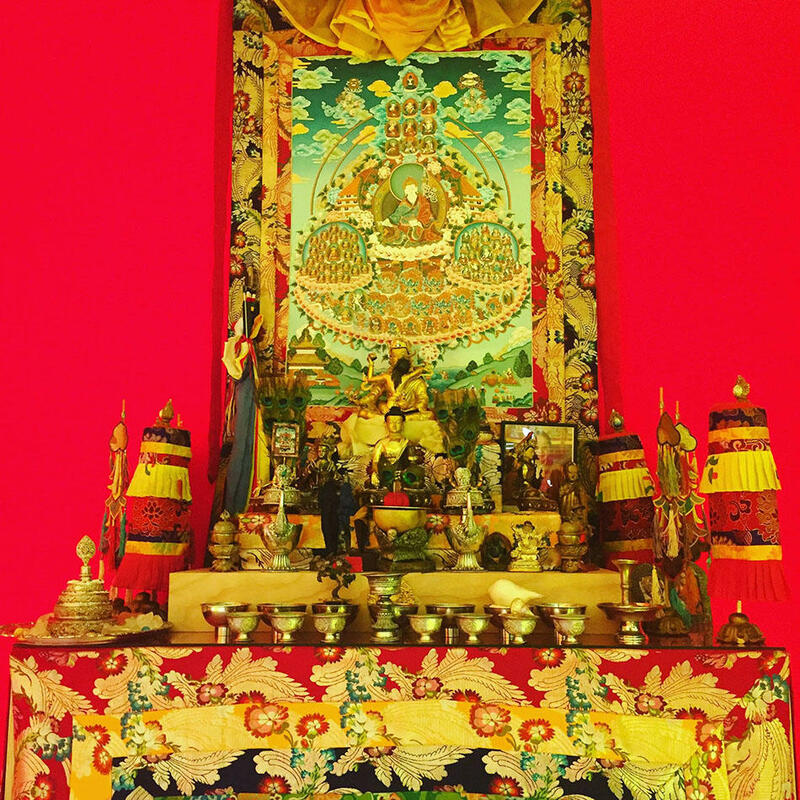 Sections of Giorno’s home will also be on view, including his Tibetan Buddhist shrine (he has been a long-time practitioner of Tibetan Buddhism). 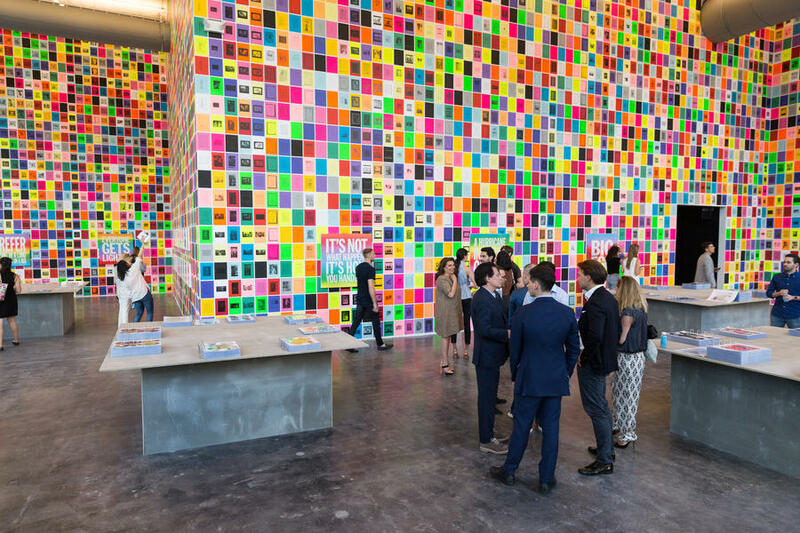 Opening Reception for Uto Rondinone: I ♥ John Giorno will be held on June 21, the summer solstice, at 5 pm at thirteen locations, simultaneously, each presenting a different chapter unfolding from eighteen chapters designed by Ugo Rondinone: Artists Space, High Line Art, Howl! Happening, two of the Hunter College Art Galleries locations, The Kitchen, New Museum, Rubin Museum of Art, Red Bull Arts New York, Sky Art, Swiss Institute, White Columns, and two windows of 80WSE Gallery. In addition, John Giorno will be reading at New York’s Marble Cemetery on July 1 (free to the public). Look forward to the official catalogue for I ♥ John Giorno in the summer edition of Brooklyn Rail Magazine co-authored by Laura Hoptman. 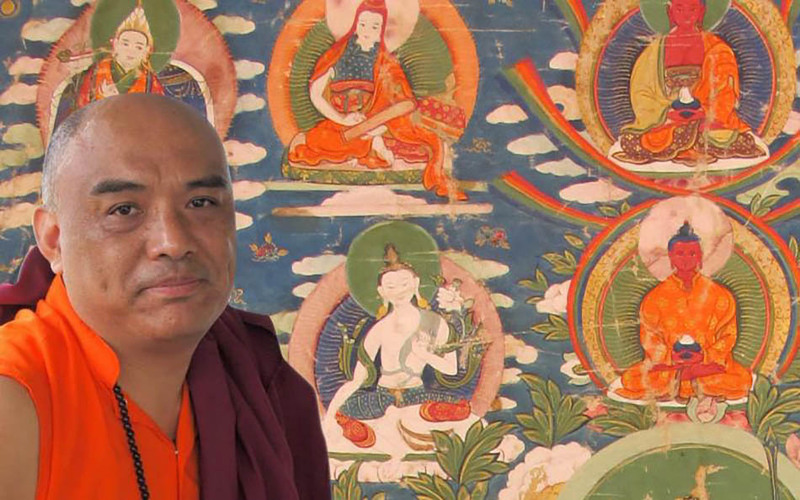 Don’t miss The Four Noble Truths, a talk by Ven. Khenpo Tenzin Norgay Rinpoche at the Hunter College Art Galleries, 205 Hudson Street, on Saturday, July 8th at 3pm. 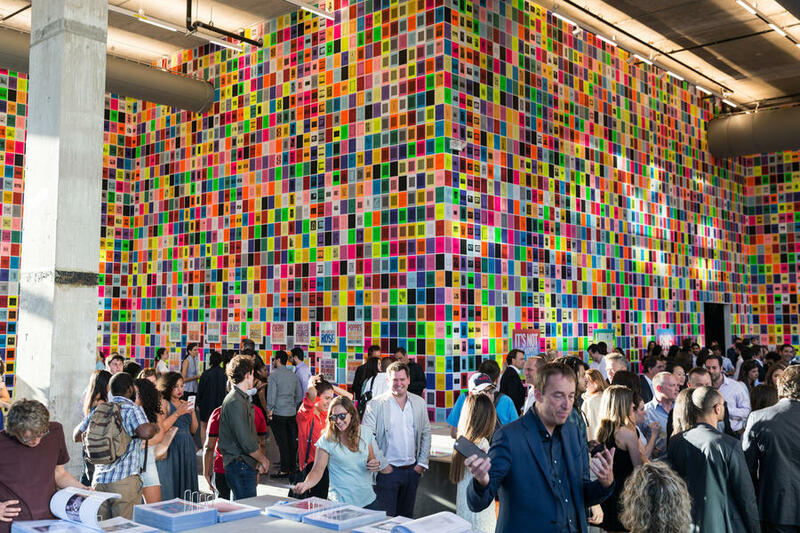 Check out highlights of the Opening Reception at Moinian Group’s Sky Art, a partnership with London-based Danish contemporary art collector, Nicolai Frahm, located at 555 Eleventh Avenue. 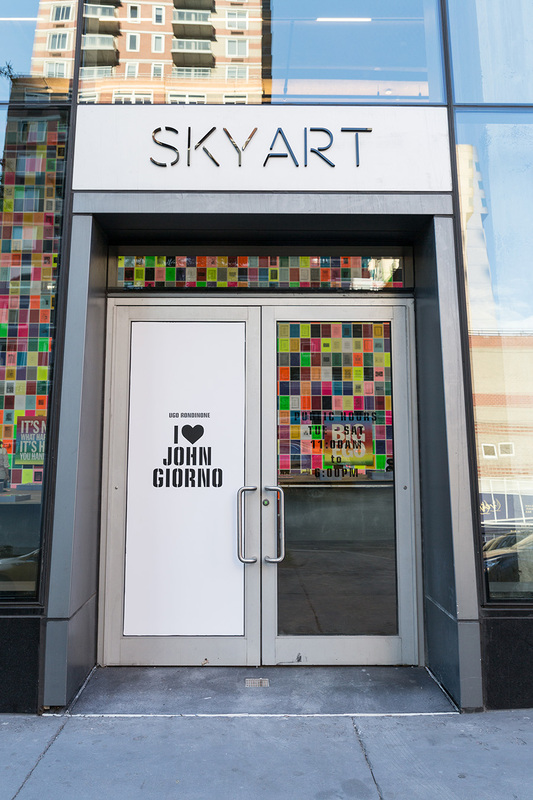 This temporary nonprofit art center features 10,000 square feet of space with 30 foot high ceilings – all of it saying, I John Giorno. You might remember last years unveiling of Yayoi Kusama’s Pumpkin, an outdoor installation located at the entrance to Sky Luxury Rentals, 605 West 42nd Street.